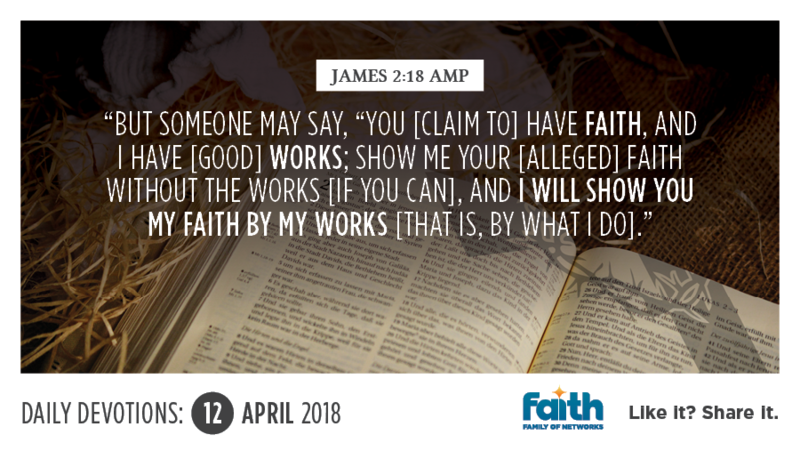 In the book of James, we find two kinds of people: Those who claim to believe, but never put their faith into action, and those believe and act like it. The latter say, "I trust God and I trust His Word, so I will be patient and won't give up. No matter what, I will not let go of my faith in Him". They remain consistent in doing what the Word tells them to do, even though the odds are stacked up against them. The Bible refers to that kind of persistence as 'great faith'. Great Faith is tenacious, unyielding, persistent, consistent, solid, immovable and stubborn - refusing to take anything but what God's Word says for an answer! We read about people with this kind of faith in Hebrews 11. It speaks of their stubborn refusal to let go of their faith, in the face of great hardships, even death. Why do so many of us give up the moment trouble presents itself against us? How will we ever enter the fullness of what the Lord has for us without persistent, stubborn faith? Today, decide to refuse to give up. Don't quit. Put your faith into action by remaining faithful to what God has called you to do, never speaking anything other than what His Word says concerning you. Persistent faith wins every time.